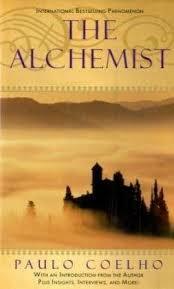 The Alchemist is one of my favourite books of all time and Paulo Coelho is one of my favourite authors. I’ve read the Alchemist about a dozen times. What I love about is that the book is written so simple and basic, no big and heavy words so you can breeze through it with such ease and actually notice and take in the beautiful quotes. I feel the entire book is made up of amazing quotes about life, love, relationships, etc. I also love the book because it is so inspirational. It encourages you to chase your dreams no matter how unrealistic they may seem and that everything happens in its time and when something is meant to be all universe will pull together to make it be. Please go read this book. I love that book too. It’s like the story is one big moral and you don’t read it for the outcome but for the journey and the lessons about life. I’ve never read the Alchemist but have been looking for some new reads, so after this I’m definitely adding it to my list! You won’t regret it Jess! It’s my all-time favourite. It’s also very easy to read , you can def finish in one day and then you’ll just want to read it again lol. I have been looking for a good read too – any suggestions?